Wiz Khalifa caused quite a bit controversy on his visit to Colombia after he posted photos of himself visiting the graveside of Pablo Escobar. Wiz Khalifa caused quite a bit controversy on his visit to Colombia after he posted photos of himself visiting the graveside of notorious Colombian drug lord, Pablo Escobar. Did Wiz leave a joint? 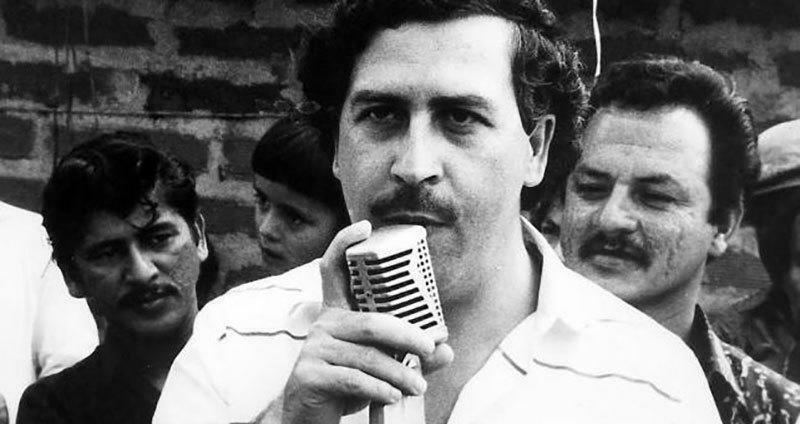 During a trip to perform at a festival in Medellin, Escobar’s hometown, the rapper appeared to pay tribute to the late drug lord by appearing to bring flowers to his grave… and a joint? Khalifa also shared several photos of him smoking what is assumed to be a joint near Escobar’s grave, as well as a picture of him posing outside of a property formerly owned by the drug lord that was bombed during an attempt on Escobar’s life in the ‘80s. That scoundrel, instead of bringing flowers to Pablo Escobar, he should have brought flowers to the victims of violence in this city. He must offer an apology to the city. It shows that this guy has never had to suffer from the violence inflicted by these drug traffickers. He also adding that the rapper was “not welcomed” back. Didn’t mean to offend anyone with my personal activities in Colombia but I’m glad we came and got work done and everyone was safe. Peace and love. Still no word, however, on whether Khalifa is now welcome to return.